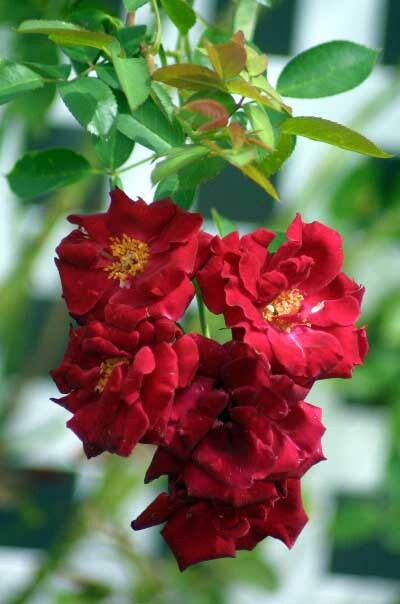 Fragrant scarlet blooms will draw you in to look at `Red Fountain' more closely. The flowers are double and cupped and the foliage is leathery. 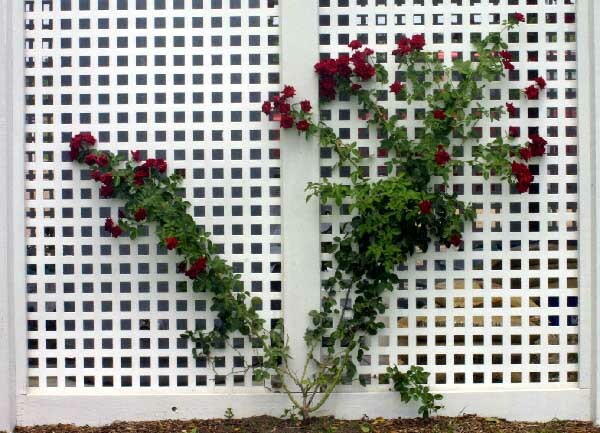 'Red Fountain' will reach a height of 12' to 14' and repeats it's dark, red blooms. Bred from a seed from 'Don Juan'. These white 4' x 8' panels make a good backdrop for 'Red Fountain'. This shrub was planted four months ago out of a two gallon container. Bred in Maryland in 1975 by J. Benjamin Williams.